The Apple iPhone is a really useful gadget for checking email on the go. I find that as with all gadgets, it tends to have some glitches, too. One of them involves the Mail application on the iPhone. If you are an iPhone owner and if you ever experience that you touch the Mail app to open it but it just won’t seem to open, fear not, there is a solution to to this. Be aware though that this solution cannot be guaranteed to work for all iPhones that experience this problem. And if that’s the case, hopefully you’re still in warranty to have the phone replaced. You touch the Mail app, it opens for like half a second, then exits and goes back to the Home Screen on its own. You open the Mail app, then delete an email on your Inbox. You press the Home Screen button to exit. You open up the Mail app again; that email you deleted is back like you never deleted it at all. You have an email with a very large attachment. You may have a corrupt email on the mail server. You have a bounced-back email (undeliverable mailer daemon email). So here’s what you can do to try to fix this. Delete the email with the large attachment from the mail server, or save it somewhere else. Delete the undeliverable mailer daemon email. Make sure they’re also deleted from the Trash/Deleted Items folder. Go to Settings > Mail, Contacts, Calendars. Select your mail account. Scroll to the bottom and select Delete Account. Go back to Settings > General > Reset > Reset All Settings. This will restart your iPhone. When the iPhone is loaded up again, re-add mail account by going to Settings > Mail, Contacts, Calendars > Add Account. 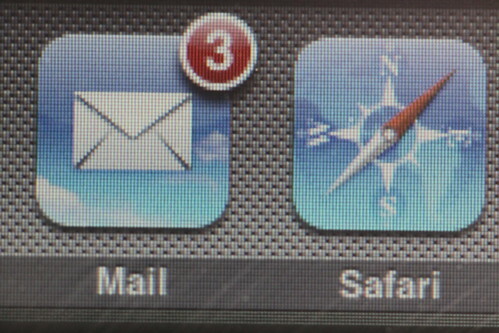 Once mail account is saved, press Home Screen button and go to Mail to check if it’s working. If you’re still encountering the same problem, you will have to Restore as new iPhone through iTunes. This will delete all your data on the phone so make sure all your data is backed up and synced to iTunes on your computer. Also, update the iPhone firmware to the latest if you don’t have it yet. Once Restore is done, re-add mail account. 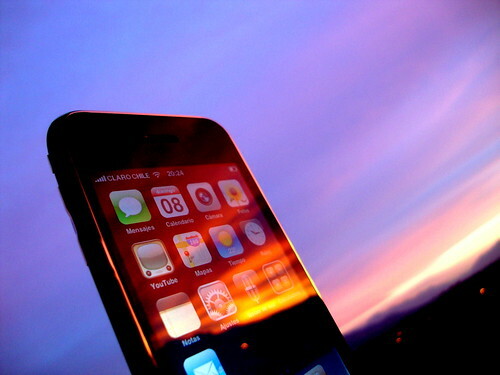 If the problem still persists, iPhone is defective and will need to be replaced. 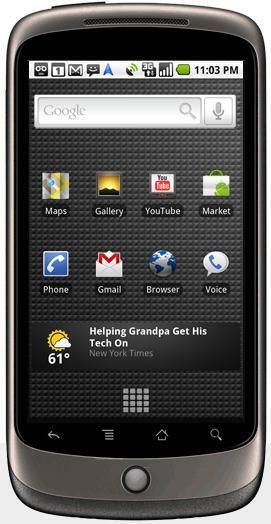 Google has released the Nexus One 3G phone last Wednesday, March 16th, and is available for use on the Rogers Wireless network in Canada. It is an unlocked phone which doesn’t come with any SIM card or wireless plan, so you can basically use this anywhere in the world that operates the 3G/UMTS bands (850/1900/2100 MHz) and GSM radio frequencies (850/900/1800/1900 MHz). It’s a 3.7 inch (diagonal) touchscreen phone with a 5 megapixel camera with geotagging capability. Operating system is Android Mobile Technology Platform 2.1 (Eclair). It has WiFi and Bluetooth capability, AGPS receiver, Digital compass. It has 512 MB RAM, 512 MB Flash, and up to 32 GB Micro SD Card capacity. Talk time is up to 7 hours on 3G, 10 hours on 2G, internet use up to 5 hours on 3G, 6.5 hours on WiFi. When you order the phone, it gives you an option to have a personalized engraving. Engraved phones cannot be returned for a refund, though, so just be sure the spelling is right and that you really want to keep this phone before buying. Currently, if I decided to buy a new phone right now, I’d still choose the BlackBerry Bold 9700 over this one, though. But that’s another story for another day. Click HERE to check out the Google phone. Whenever I see a pink gadget, like a cellphone for instance, I usually am intrigued by it and would so love to own it and play with it. Unfortunately, there’s this one pink phone that I do not like at all. It is cute, yes, but unfortunately, this phone is of very poor quality. 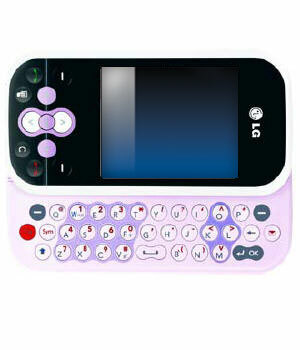 This phone is the LG Neon TE365 phone. It comes in other colours, too. I just wanted to specifically mention this phone because it comes in pink, which is what I am easily attracted to. I have talked with a lot of people who own this phone and the most common problem with it is that the phone keeps freezing a lot. It could be you’re making a call, typing a text message, browsing the internet, or even not doing anything at all and the phone would just freeze on you. Some people would say that they just put the phone in their pocket and then when they took it out, toink, it’s frozen. Another problem is that this phone would just randomly turn off on its own. Same situation, whether you’re doing something or not doing anything at all. When these happen, the solution would be is to bring the phone in for repair back to the manufacturer. But actually, even if the phone is “repaired” already, it still tends to have the same problems. Third common problem? The keyboard gets stuck or doesn’t slide properly. I’m wondering why they still even sell these phones. By the way, other LG phone models may tend to have the same set of problems, too, so be cautious in your decision to purchase any LG phone. I’m sorry, LG, you know that’s the reality. This entry was posted in Gadgets, Tech, Wireless and tagged Phones, Pink. If you have an iPhone, you can easily add your email account if you’re using one of the default emails under the Mail, Contacts, Calendars setting, namely GMail, Yahoo Mail, and AOL. And I guess MobileMe, though I wouldn’t say it’s a common mail account used. For Canadians, a lot of people have an email account from their Internet Service Provider, like Rogers, Bell or Telus for example among others. It should be pretty straightforward to setup your email actually since you can just check the settings on your computer if you’re using a mail client such as Microsoft Outlook for example. If the iPhone is looking for the incoming mail server, just check it on your mail client’s settings. If the iPhone is looking for the outgoing mail server, check it in your settings again. But I guess some people are just not very technically savvy that they have no idea what and where to find that, and I understand that. Now, what would the world do without technical support people, right? LOL. Anyway, here’s a compilation of the required mail settings of the most common email providers in Canada. Make sure you add in your Name, Address (Email address, not home address! ), and Password. Description is optional. Select Save. MTS Mail Settings (MB) Click here for MTS Website iPhone screenshots. Obviously, when you have a username, you should also put your password in the Password section. Just leave the other settings I haven’t mentioned here as default. Take note that the Outgoing (SMTP) Server will only work over a WiFi connection. If you’re sending out email through your wireless mobile phone network provider, you would need to add their SMTP server, e.g. Rogers Wireless uses smtp.rogerswirelessdata.com [port 25]. Check with your network provider for this setting. Remember, if you’re having trouble sending email, try turning off your WiFi, then it should usually work fine, as long as you have your network provider’s SMTP server configured. Additionally, if you have a work email, that usually means you might have to add your email by going into Settings > Mail, Contacts, Calendars > Add Account > Microsoft Exchange. Take note, only one Exchange ActiveSync account can be configured on the iPhone. Contact your company’s Mail Administrator for this. This entry was posted in Tech, Wireless and tagged Phones.